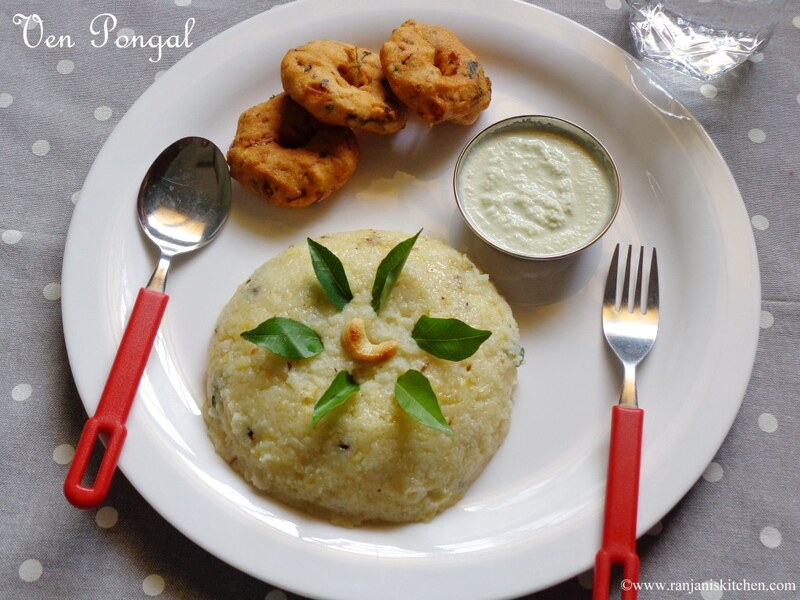 Today’s Recipe – Ven Pongal. Cashews – 5 to 6 nos. Heat a kadai, dry roast moong dal and raw rice separately and pressure cook with 4 cups of water with grated ginger. Once the pressure releases,open and add salt then mash gently with ladle. 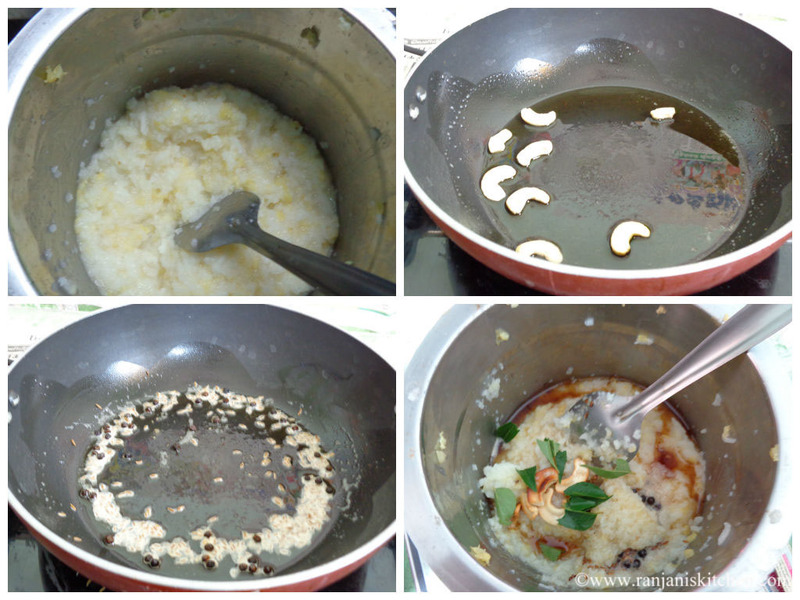 Now heat ghee in a pan, roast the cashews and add to the pongal. Then add one more spoon of ghee in kadai and temper with pepper corns and cumin seeds. Finally add curry leaves. Add this seasoning to pongal and mix well. 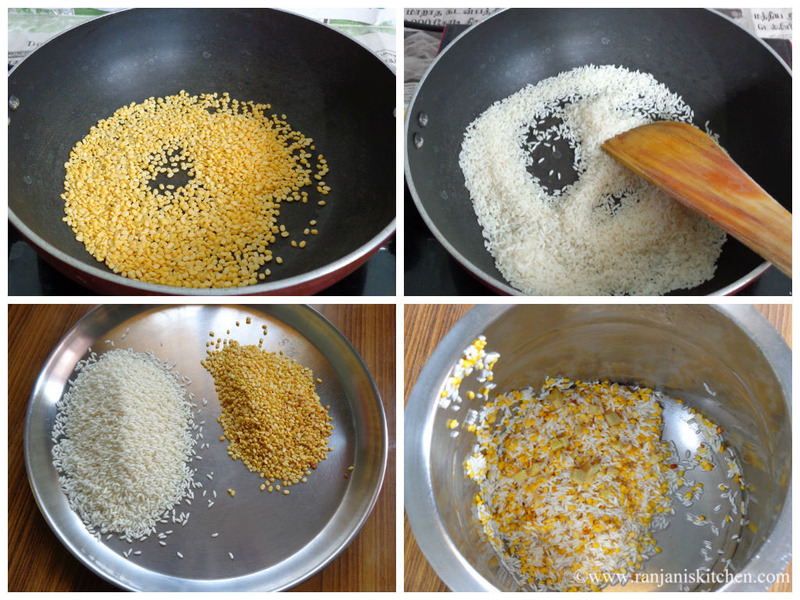 While cooking dal and rice, add little more water than usual. 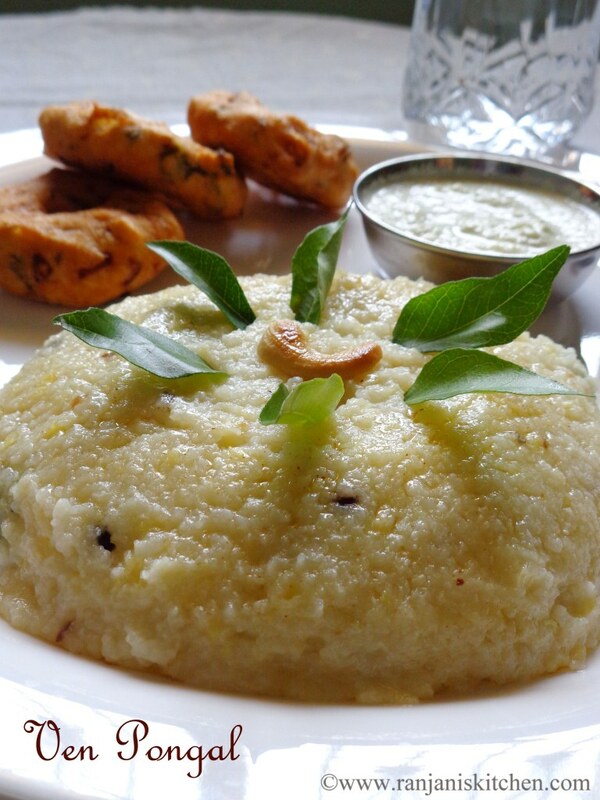 Pongal will be good if it is little sticky. You can also add chopped green chillies while seasoning . It will enhance the flavor. Adjust the ghee level as you needed. Its tempting with awesome Gooey look.